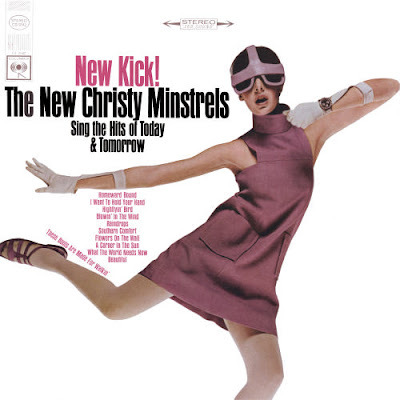 I came across this New Christy Minstrels album cover in the Retro Records Flickr Group. Clothes of the paleo-future are often impractical but I really don't mind what this woman is wearing. The bug-eyed helmet is the only thing that seems absurdly unnecessary. Otherwise, it seems like pretty standard 1960's mod fashion. Hey, I own that album! I love their '60s covers! 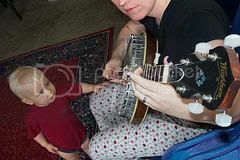 Probably that was some woman hanging around the studio or the photog's office. Still doesn't explain the helmet. The ensemble was designed by Rudi Gernreich, who's probably most famous for designing the "Monokini."